His specific tastes, preferences, and needs aren't one-size-fits-all. So why should his dog food be? He deserves personalized food created by you, just for him. It starts with your unique dog. Create your dog's profile. Include info only you know about him, like his nutritional needs and preferences. 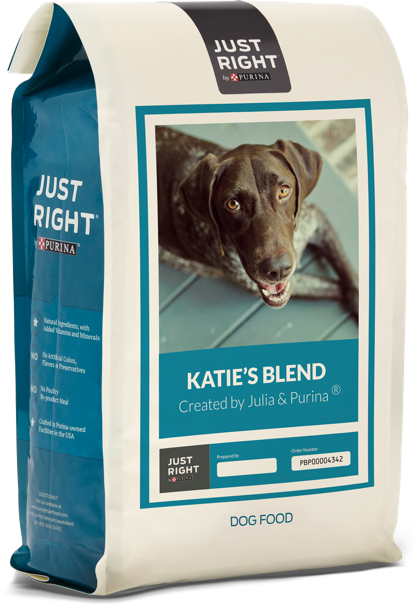 Based on what you've told us, we'll recommend a personalized blend with nutrition tailored specifically to your dog. Get your Just Right blend delivered with fast, free shipping. Plus, easy reorder and auto-delivery options mean less time at the store. Tell us about your unique dog, and start a personalized blend just for him.